Chocolate Chip-Peanut Butter Cheesecake Bites Page 7 on my computer. Addictive Pretzel Candy Fudge Page 8...on my computer! Lots of great cakes in here too! Lots of neat pie recipes too. Lots of goodies for Peanut Butter lovers. I can see why Rose Mary Mogan bought this cookbook. Lots of great recipes in this one, Ma. Ma, Thanks again for compiling this book. I just ordered 2 of them one for me, and one for my Sister N Law. It cost over $61.00 for both of them, but she is worth it. I can't wait till she gets it. I am so excited for her to get it. I know she will love it. Ma, this is just AWESOME, BEAUTIFUL, I CANNOT SAY ENOUGH WONDERFUL THINGS ABOUT THE BOOK AND ABOUT YOU FOR COMPILING AND PUTTING IT ALL TOGETHER AS ONLY YOU CAN DO. Thank you so much. Renee will really love this book that includes all of my Peanut Butter Recipes, many of which I had forgotten I posted. Thank you so much for doing such a beautiful job. I can't wait for her to get it. I am ordering it today. I will be ordering 2 one for me and one for her. I will definitely keep you posted and let you know what she has to say, I am sure she will be speechless. We love Peanut Butter in our house also, and I will be trying out many of the other Peanut Butter recipes included in the book. 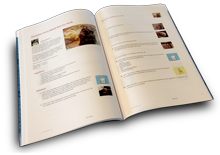 Thanks again for such a wonderful job in compiling the recipes and for including my personalized message. You are so awesome Ma. I am so proud and glad to call you Ma. You really do look out for me. Thanks again.